The annual rate in the past decade is about 2 to 3 per cent, while that for teachers of up to five years of experience is "slightly higher'' at about 3 to 4 per cent, said Minister of State for Education Janil Puthucheary yesterday. But it goes up to about 5 per cent for teachers when their bond ends, he added. Workload is not the common reason they give, Dr Janil said, despite what was reported recently. The top reasons range from family considerations, like childcare, to a desire for a change of job. Still, MOE recognises that the teaching profession is "demanding and requires significant commitment and deep skills", said Dr Janil. He was replying in Parliament to Dr Lim Wee Kiak (Sembawang GRC), Non-Constituency MP Daniel Goh and Mr Muhamad Faisal Abdul Manap (Aljunied GRC). 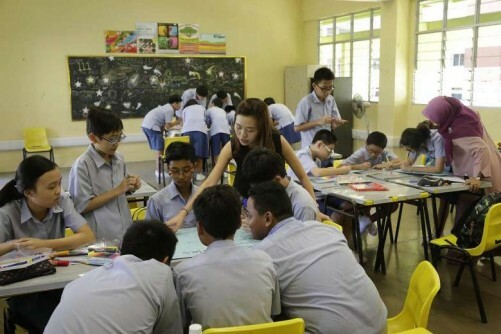 A Straits Times report last month said about 5,000 teachers had quit in the past five years because of job pressures: long hours, demanding parents of students and a heavy administrative load. It led some observers to call for more to be done to retain them, including reducing the administrative workload of the more than 33,000 teachers. About one-third of these teachers have fewer than five years of experience, according to official 2015 figures. Dr Janil assured the House that his ministry has consistently paid close attention to its teachers - taking care of their well-being and ensuring that they are fairly remunerated and given opportunities for career advancement. Their salaries, for instance, are regularly reviewed to keep pace with market pay. A September 2012 review resulted in eligible teachers getting a monthly pay rise of 8 per cent, and a review in October last year saw their salaries go up by 4 to 9 per cent a month. Teachers can also get ahead by assuming leadership positions in schools and at MOE headquarters, becoming teacher leaders or taking up senior specialist roles. Dr Janil said the well-being of teachers remains important. "To address this, we have put in place measures to support and guide schools in work allocation," he said. "Schools also regularly review work areas that can be stopped if they are no longer relevant or meaningful, simplified to reduce duplication and optimise efforts, as well as share good practices to improve work management," he added. Citing an annual teacher satisfaction survey, Dr Janil said his ministry is trying to put in place some IT solutions following feedback from some teachers about the administrative workload. The survey also found many teachers feel the value and respect they are accorded are diminishing. "Yet, this would not stop them from continuing in the teaching profession, which they found to be a very meaningful profession," he said.